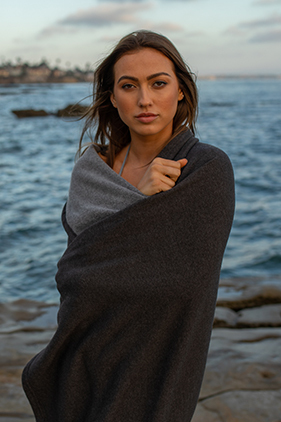 52% ring spun cotton/48% polyester 6.5 ounce fleece blanket with 32 single polyester/cotton blend facing. 1" self hem with double-needle top stitch sewing on all four edges. Includes one natural colored drawcord with antique finish metal tips. Blanket will be shipped untied.